This is a new feature in Release 270 and later drivers. NVIDIA Update keeps your PC up-to-date with the latest NVIDIA drivers by notifying you when a new driver is available and directing you to the driver on nvidia.com. 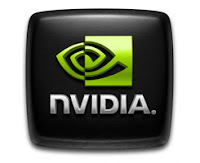 When you install a Release 270 or later GeForce driver from nvidia.com, you will be presented with the option to install NVIDIA Update. Adds support for applications using CUDA 4.0 features such as Unified Virtual Addressing (UVA) and GPUDirect v2.0.